Prime Minister Justin Trudeau said he's willing to talk to President-elect Donald Trump about NAFTA. His statement came a day after Canada's ambassador to the U.S. said Ottawa would be "happy" to renegotiate NAFTA. The North American Free Trade Agreement is suddenly hot topic because during a raucous election campaign, president-elect Donal Trump vowed to either renegotiate or scrap the 1994 three-nation pact, under which Canada sends 75 per cent of all its exports to the United States. Ambassador David MacNaughton said that even if NAFTA were torn up, Canada and the United States would be bound by the terms of the 1987 Canada-U.S. Free Trade Agreement, the precursor to the trilateral deal which added Mexico. A source with direct knowledge of Canadian government thinking said Ottawa saw only a small chance that Trump, who won a Nov. 8 election, would move quickly on NAFTA, since changes would require cooperation from pro-business Republicans in Congress. "He has other priorities, such as ending illegal immigration. Is he really going to burn up political capital on a step that could damage the economy?" said the person, who requested anonymity because of the sensitivity of the situation. Peter Hall, chief economist with Export Development Canada, said he expected U.S. corporations with major investments in Canada to balk at big changes to NAFTA, which could harm U.S. consumers by hiking tariffs and making goods more expensive. Trump's unhappiness with NAFTA has largely centred around trade with Mexico. He has also threatened to slap tariffs on imports of Chinese goods. 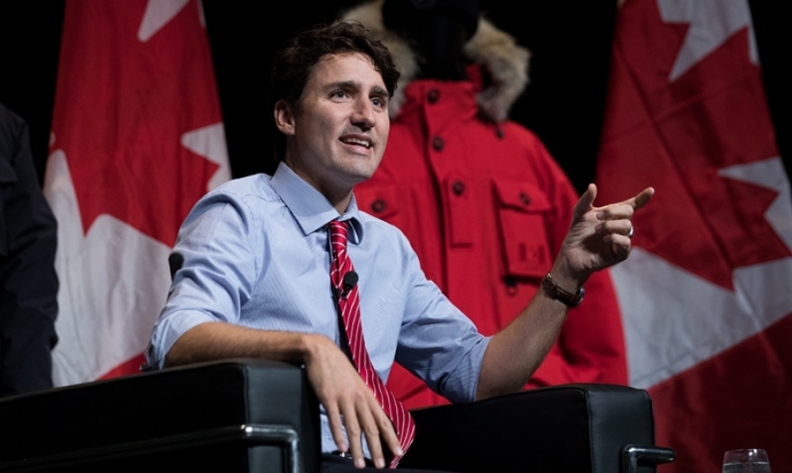 "I don't think at this point we've seen anything in his public statements that indicate that he is going to take a hard line against a country like Canada," said Royce Mendes, senior economist at CIBC Capital Markets. Mendes said if the United States eventually ended up trading with fewer countries, Canada's exports could actually go up. According to official U.S. data, bilateral trade with Canada in goods and services in 2015 totalled US$662.7 billion (Cdn $893.8 billion), more than the US$659.4 billion (Cdn $889.4 billion) between the United States and China. In the run-up to the election, Canadian diplomats fanned out across the United States to make the point that Canada is the top export destination for 35 American states and that 9 million U.S. jobs depend on trade with Canada. Canadian officials and analysts are quietly confident the economy will survive, and might even thrive under a Trump presidency, given the high integration between the two countries' economies. Cross-border partnerships in key industries such as the auto sector means "Buy American" policies may still allow Canadian components to sneak in under the wire, beating out competitors' goods. Meanwhile, Canada's recent trade deal with Europe means U.S. firms can potentially access that market through their Canadian operations. "What we need to see is an accelerating U.S. economy, keeping our currency weak enough that we're competitive on the global stage," said CIBC's Mendes. "All else being equal, if we lay low ...I think that'll be good." Additional reporting by Allison Lampert.